December 2016 marks the launch of the EUROPE Project – Ensuring Unity and Respect as Outcomes for the People of Europe, which aims to foster social inclusion, tolerance and other factors that prevent violence in schools. The EUROPE project, co-funded by the Erasmus+ Programme Key Action 3 – Initiatives for policy innovation – Social inclusion through education, training and youth, will focus on the implementation of the Quiet Time based on the Transcendental Meditation (TM®) programme for students and teachers, aiming at reducing stress in order to increase positive pro-social outcomes (such as tolerance and coping ability), emotional intelligence, creativity and academic performance. Transcendental Meditation is a very ancient, simple and natural technique, brought to light by Maharishi Mahesh Yogi, a foremost Vedic scholar who encouraged modern scientific research to study the effect of the practice of Transcendental Meditation for mind and body well-being. TM® has been taught worldwide since approximately 60 years. 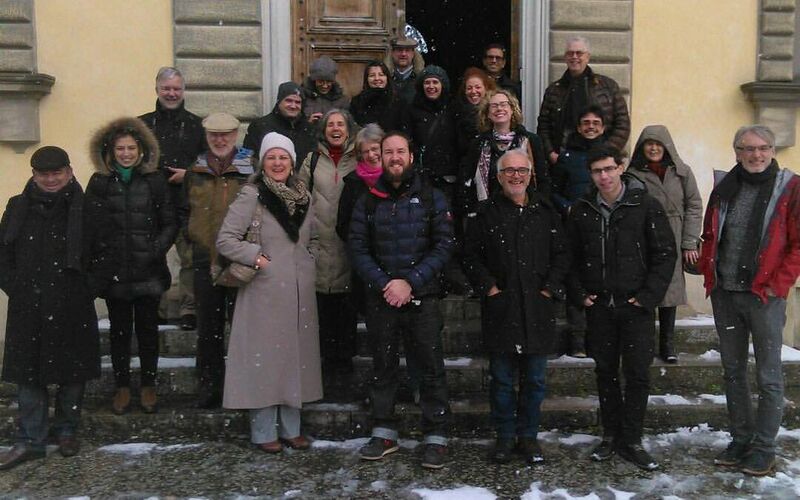 During the first project meeting that took place on January 16 and 17 in Città di Castello (Italy), the partners had the chance to know each other and share their expertise and experiences. Moreover, the meeting allows them to plan the next project activities such as the application of the Quiet Time Programme in schools. The consortium demonstrates a strategic mix of competences in EU projects, Trascendental Meditation, quality assurance and expertise in working with social disadvantaged students. The Kick-off meeting brought together CESIE with the 11 other partner organisations which include Fondazione Hallgarten Franchetti – Centro Studi Villa Montesca (Italy) as coordinator, Stichting Hogeschool Utrecht [Utrecht University of Applied Sciences] (The Netherlands), Universidade do Algarve (Portugal), Agrupamento de Escolas João de Deus [Teacher Training Centre] (Portugal), Maharishi School Trust Limited (United Kingdom), Stichting Maharishi Onderwijs Nederland (The Netherlands), Maharishi Foundation England (United Kingdom), APEJAA – Associação de Pais e Encarregados de Educação da Escola João Afonso De Aveiro (Portugal), Cooperativa Cultural Ciencia Tecnologia Vedica Maharishi, CCCT (Portugal), MIKI – SVERIGE [Maharishi Institut for Kreativ Intelligen] (Sweden) and Stichting Maharishi Vedisch Instituut (The Netherlands). The project will last two years and the next transnational meeting will be held in Portugal, during which the progress of the project and the first results will be discussed in details.